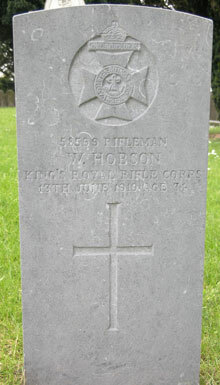 ON COOKSTOWN WAR DEAD. Son of Benjamin and Eliza Hobson. Born at Stewartstown.